Kirkland’s Pest Control provides termite, pest and moisture control for both residential and commercial properties within Alabama, Georgia and Tennessee. 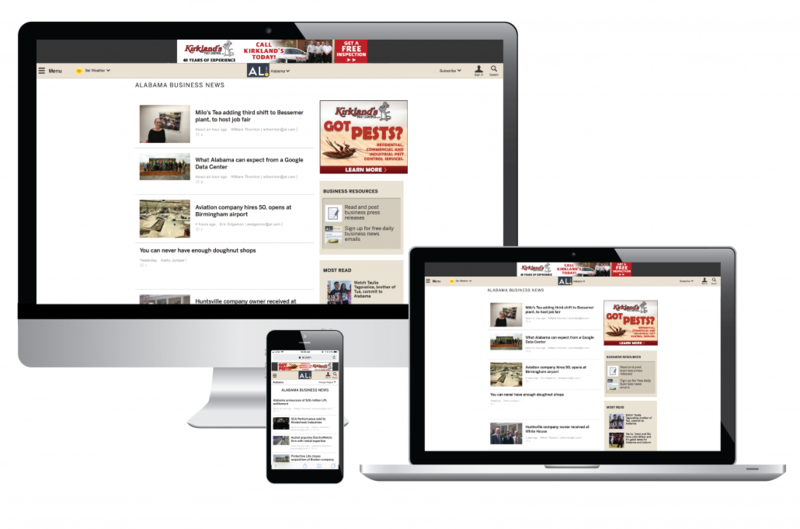 Upon partnering with Alabama Media Group, Kirkland’s Pest Control saw a need to increase their online presence and quotes for service. Over the course of one year, Alabama Media Group increased their impressions by 202%. This was accomplished by moving some of their display to CPC display. Kirkland’s also saw a 159% increase in website visits year over year. During the year they received over 2,008 phone calls. Of those, 371 ended with a request for quote. 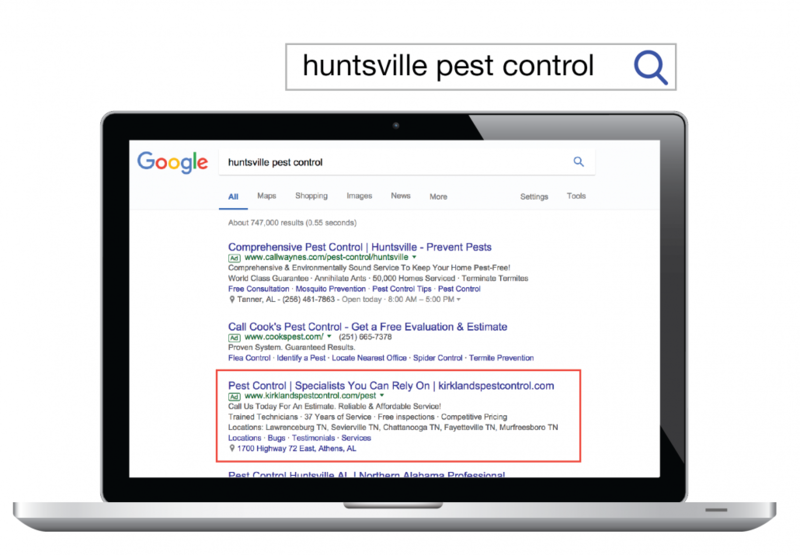 Find out how Alabama Media Group increased brand recognition, website visits and ultimately increased business for Kirkland’s Pest Control. The digital awareness campaign starts with sending the Kirkland’s Pest Control message to a strategically designed target audience of home owners and business decision makers. These users are targeted with display ads on AL.com. CPC (cost per click) display ads were served through a partnership with Google. Google serves these ads based off searches in their search engine. These ads are strategically placed by Google for optimum performance to users searching for what Kirkland’s Pest Control has to offer. Geotargeting was also used to serve ads while people were in the areas that Kirkland’s Pest Control services. 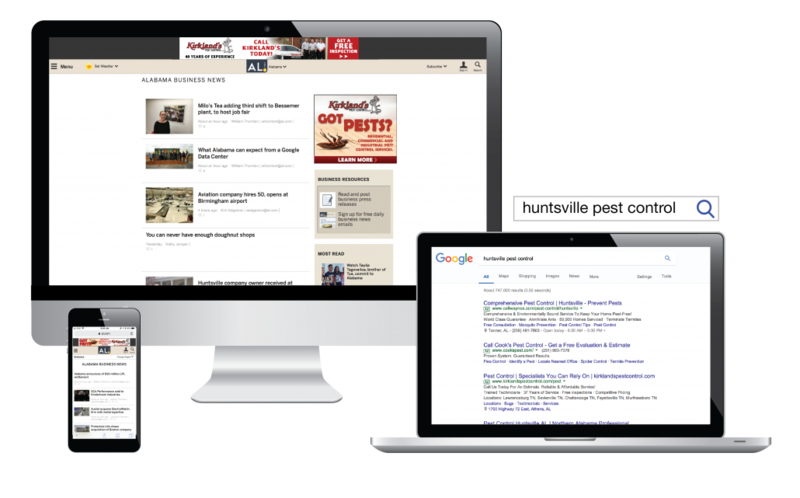 Alabama Media Group launched a search engine marketing campaign across the top search engines: Google, Bing, and Yahoo!, within radius of Huntsville AL, Scottsboro AL, & Fayetteville TN. When users make relative searches for pest control or other services Kirkland’s offers in these areas, they are served a Kirkland’s Pest Control SEM ad. 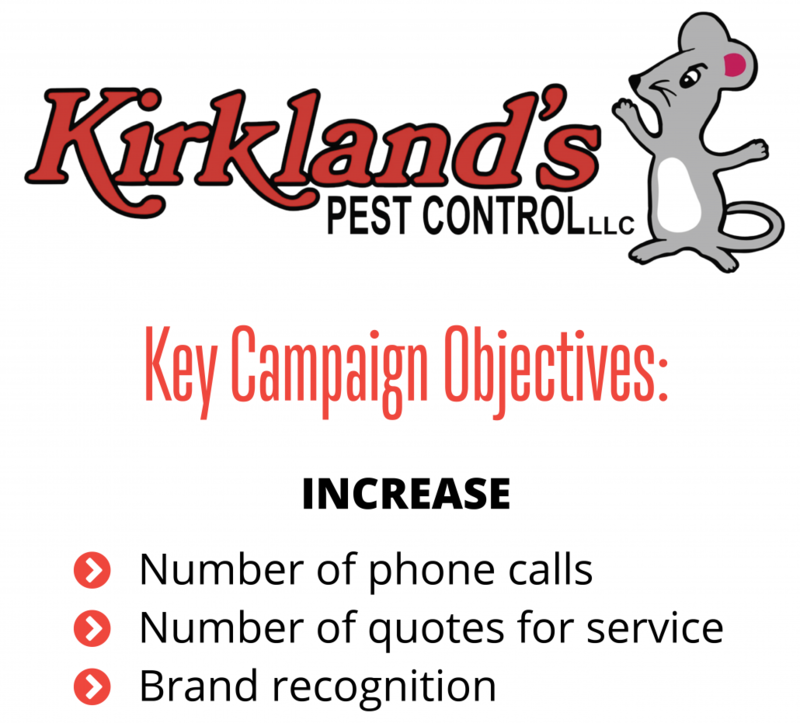 Alabama Media Group helped Kirkland’s Pest Control increase brand recognition and grow its business through ongoing campaign management and optimization.